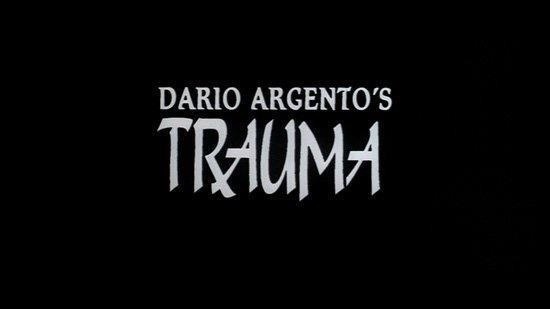 Released in 1993 Trauma was Dario Argento’s first full length movie of the 90s and also his first full length film made by an American production company. At the time of Trauma’s release a lot of the great horror filmmakers that got their start in the late 60s and into the 70s were starting to decline and with the lack of younger filmmakers to emerge the horror genre began to hit a bit of a rut. Trauma is a movie by a filmmaker who may not be what he once was, but still hanging on to his old glory. 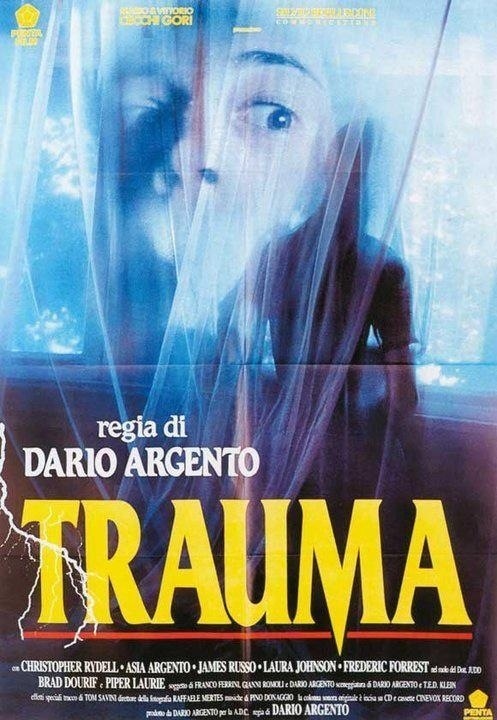 Most Argento fans see Trauma as a middle of the road movie and while I can’t really defend it from being just that, but I personally always enjoyed this movie and I still do and by no means is this one of Argento’s best movies, but I still very much enjoyed Trauma. When compared to movies like Deep Red or Suspiria I suppose you can find a few things to dislike about Trauma. The movie doesn’t feature the amazing use of colors, the camera shots aren’t anything special and it lacks the eerie feel of Argento’s earlier films, but with that said I personally think Trauma is an excellent movie and even if it doesn’t hit the highs of past Argento movies in my opinion it’s a movie that can still stand proudly with his classic movies. A lot of the themes in Trauma are classic Argento and again this is a film made by a director that is just able to deliver enough to hold onto his old glory, but after Trauma the films of Dario Argento were very hit or miss and this last film by Argento I hold in high regard. When it comes to Argento’s work the only thing I always mention in my reviews is the writing. In general I think that would probably be his biggest weakness; at times some of his movies can be incoherent or feature plot twists that don’t always make a lot of sense and sometimes the characters can do things that sort of lack logic. And speaking of the characters I personally felt Argento never really had great characters that could carry his movies or at least not for too long. Deep Red & The Bird with the Crystal Plumage are the two movies I felt Argento had very solid characters, but even in those at times certain things the characters do kind of lack sense. Trauma was written by Dario Argento & T.E.D. Klein and this just might be the most coherent script to come from Argento. The movie deals with a killer on the loose decapitating their victims and the killer is dubbed the Head Hunter. Argento & Klein craft a solid script with a nice mystery and this is pretty much standard Giallo. The one area where I think Trauma has an edge over most of Argento’s work is here he creates two excellent characters in Aura (Asia Argento) and David (Rydell). Aura and David are both interesting characters with plenty of depth and these characters can also carry the movie. Both characters are quite complex in particular Aura who among several problems is dealing with anorexia and this adds a layer of drama mostly unseen in Argento’s past movies. The script by Argento & Klein may not be perfection, but it’s the most character driven movie Argento has ever done and even in other movies where certain characters were able to carry the story they were only able to do it for so long whereas with Trauma the characters here are more than able to carry the script for long stretches and I think Aura and David might be Argento’s best and most deep characters. As director Dario Argento delivers a solid paced and fun movie; even though Trauma has quite a few elements found in past Argento movies the direction isn’t anything special, but yet something for me really works well here. The use of colors isn’t on display and visually Argento doesn’t really create any wild shots. However none of this hurts Trauma as Argento again delivers a well-paced movie and while Trauma might lack the atmosphere as such movies as Deep Red & Tenebre, he still delivers an entertaining movie. Argento is able to craft some decent suspense and even though again it might lack at times in that area, Argento still keeps the movie entertaining. However the final act is when the pacing does begin to slow down a bit and honestly Trauma could have been wrapped up a bit quicker, but overall don’t expect another Deep Red or Suspiria, but at this stage in his career, Argento crafts a solid film. As much as I enjoyed Trauma it’s not without its flaws; starting with Deep Red every Dario Argento film was scored by Goblin or Claudio Simonetti formerly of Goblin, but with this film the studio felt a more American sounding score was needed and Pino Donaggio was brought in and he’s done some great scores such as Carrie, but there are films where his score can be quite poor and Trauma was one of those films. The score at least for me at times does kill the suspense and tension at times. When he’s on Donaggio is an excellent composer, but when he’s off it can be bad and sadly this was an off film. I think Trauma would have greatly benefited is Simonetti was the composer and would have helped elevate the film. Also the movie does lack the needed gore and seeing as the F/X were done by Tom Savini one can’t help, but be a little disappointed. I enjoy gore in flicks, but it’s not a must and even though Argento’s flicks can at times be really graphic I never really thought of him as a gore director, but this movie is a little too light on gore seeing as Savini did the F/X and the fact the movie deals with decapitations one would expect a little more in the gore area, but the F/X are solid, but wouldn’t make a Savini highlight reel. I think Argento fans should give Trauma another try and while it’s hard not to compare this to his earlier work, but if you take Trauma for what it’s worth you might be surprised; the characters are among Argento’s best and this is his most character driven movie. Trauma is a movie by a filmmaker that may not be what he once was, but still has enough left in the tank and is far better than given credit for.